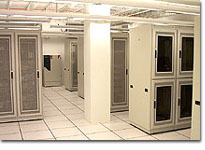 FAQ: Why is it critical that my website/server be hosted in a "carrier-neutral" facility? The Internet as a whole is made up of many individual "interconnected networks" or "backbones", the largest of which are termed "Tier-1 backbones". The Tier-1 backbones are mostly operated by large telecommunications carriers which provide data center services exclusively to their own networks. The problem with carrier-owned data centers is they offer a single point-of-failure for Internet connectivity. If your website is located in one of these facilities and that carrier's network is having problems, there is no backup. In other words, these facilities do not offer true redundancy in case their network is unavailable. The solution is to aggregate connections to multiple carrier networks in a facility that is not owned by a single carrier, hence the facility is "carrier-neutral". In this scenario, if one carrier's network goes down, then the facility has several other networks through which to route Internet traffic. This is also called "multi-homing". Since it is almost impossible for multiple Tier-1 carriers to be unavailable at the same time, this solution offers the redundancy necessary for your website to be online and available virtually 100% of the time. When evaluating data center facilities, we always recommend our customers avoid those hosting companies which are really just "fronts" for the large telecommunications companies. Do not be fooled by hosting companies that advertise redundant connections and then require you to contract with a third party provider to bring a separate circuit into your cabinet as a "backup". This is not true redundancy and adds cost and complexity to your deployment. 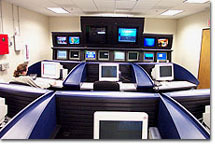 Let Mediawest provide true carrier-neutral and multi-homed connectivity for your Internet presence.